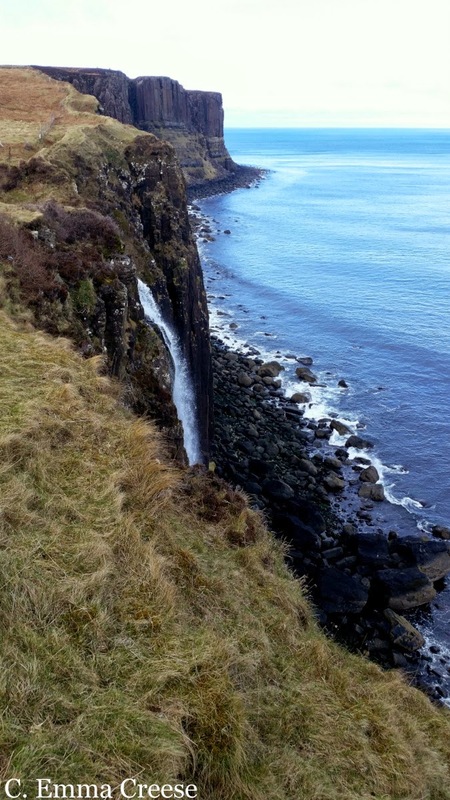 A realm of faerie-stories, kilted clansmen and bagpipes, we knew that visiting the Scottish highlands we were going to see beautiful scenery, but we weren’t quite prepared for the variety of stunning vistas that seemed to appear ever time we turned a corner. through the Trossachs, sipped proper Scotch, admired the spirit of kilt wearers, watched the sun set and the mist lift on the Isle of Skye. …to sunlight seaside pastures within 10 minutes driving. It was so delicious I had to make a video of one of the road bends (‘scuse the wobbly bits). As a sidenote, I was pleased to realise that years down the track, the incredibly popular Outlander TV series has re-purposed (but changed the lyrics of) the Skye Boat Song melody as the theme tune. My singing teacher was clearly a woman ahead of her time. I’ll admit I was in a bit of a bad mood when I arrived in Aberdeen due to some issues with my flight but Brewdog helped turn my mood around. 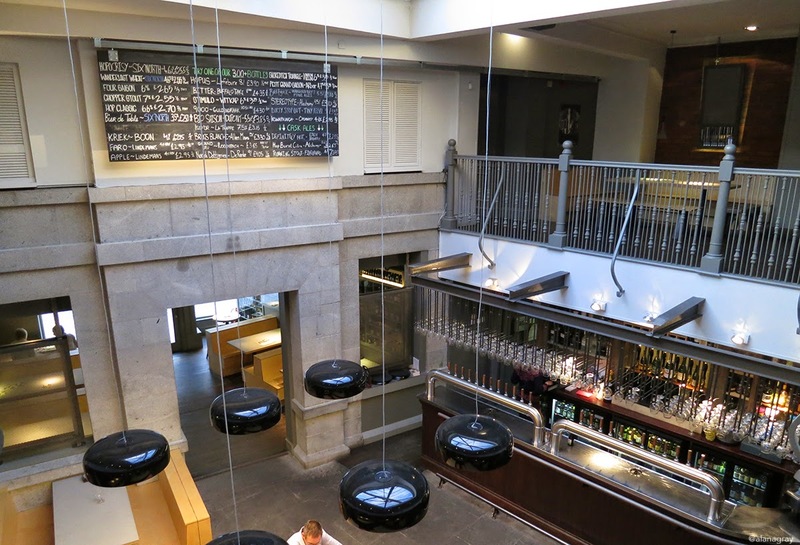 The decor is trendy craft brew pub standard – carefully curated raw materials mixed with funky eclectica. The guys at the table next to us (who matched the general decor) sported fine hipster beards, curled moustaches and were busy taking macro photos with their DSLR. If you ignored their Scottish accents we could’ve been back in London! 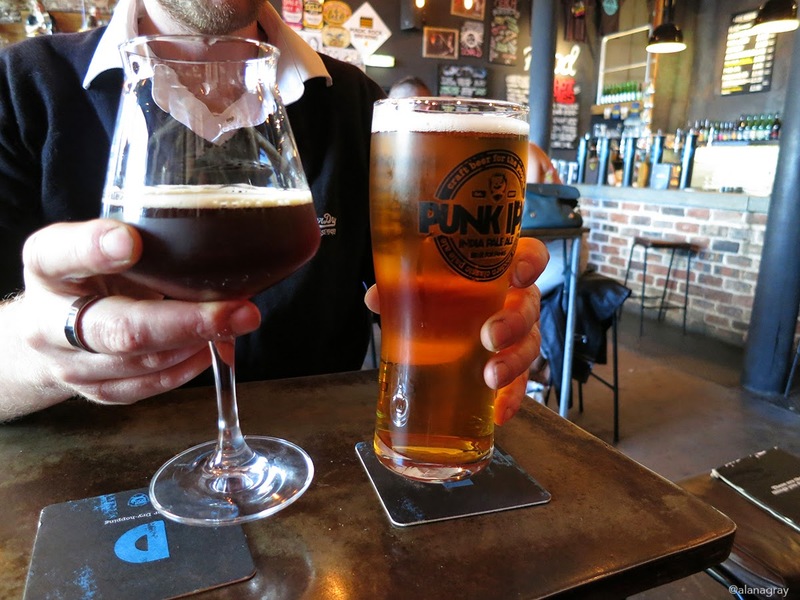 The beers The Boy and I tried had personality – both on the palate and with their rather creative names. Brewdog’s cheeseboard is also delicious and third party mediation was nearly needed to ensure the spoils were divided evenly. Cheese, like beer is a serious business. 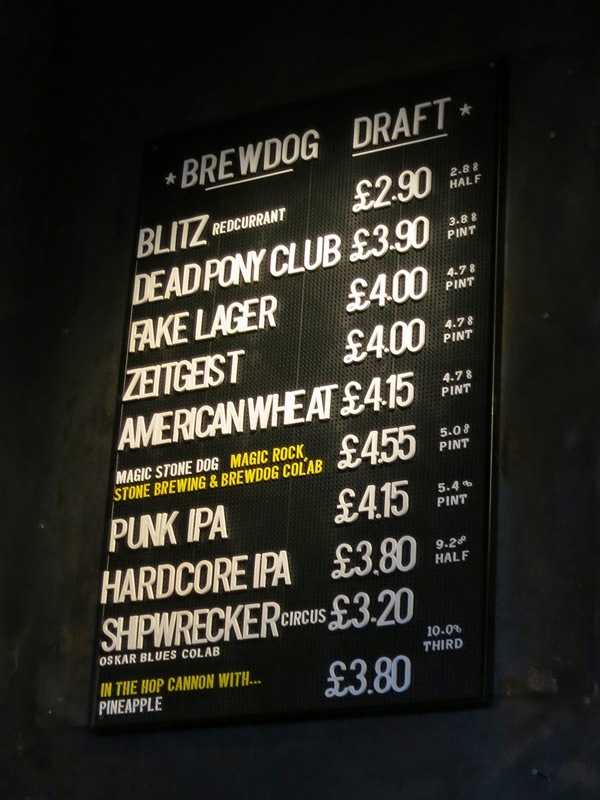 Within sight of Brewdog is another gem in Aberdeen’s beery crown. Some Scottish folks down the coast in Stonehaven got it in their heads to start brewing Belgian beer and 6° North was born. With an intimidating list of tap beers, help from the staff was very necessary to for me make my choice. They were also rather generous about serving up samples to help me with my decision. Luckily they didn’t tell us there are over 300 bottled beers on their beer menu until after we’d picked our first drinks or I think I might’ve had had a meltdown over what to choose. However The Boy got a gleam in his eye when he discovered the extent of the beer menu and took a copy back to the boat with him to show his colleagues. Dinner was decided on the toss of a coin (if it had come up heads we would’ve been eating Indian). Rustico has classic Italian decor without being kitsch and the photographic prints of Sicilian life on the walls took me back to when I was there a couple of years ago. The restaurant is well reviewed online and the praise is justified. The Boy’s Padellata Siciliana justified it’s £20 price tag by having plentiful portions of every type of sea creature in a spicy tomato broth. My mushroom pasta was packed with so many oyster mushrooms there were possibly more of them than pasta. I wish we’d had more space for dessert – their handmade cheesecake looked divine but we were so full we only had room to share a tiramisu. Imagine a bohemian cafe inside a secondhand bookstore and you have Books and Beans. It’s cluttered and a little bit cosy but it works. I browsed their books but didn’t have a coffee so the verdict is out about the quality of their brew. If you go there grab a seat on the first floor. The ones by the window have good light for reading and a view of the street if you prefer to people watch. 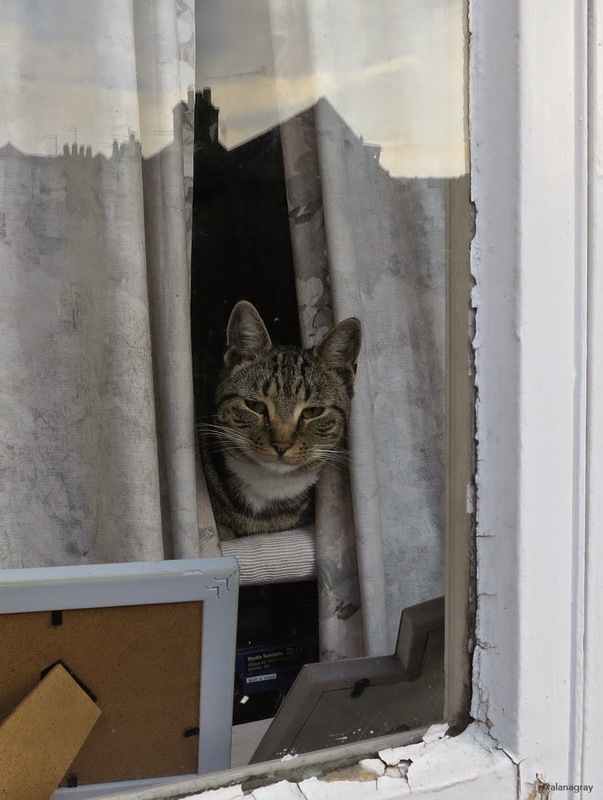 Don’t bother going to the second floor – there’s only an internet cafe up there and it smells a bit like teenage boy and people who don’t go outside much! 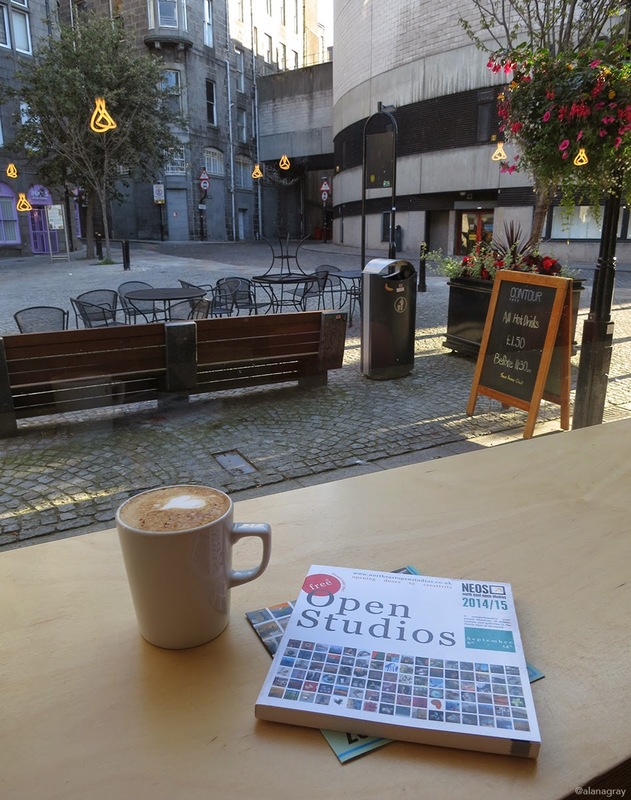 Contour cafe gets a tick in my book for a good coffee in Aberdeen (even if they did serve it in a mug). They’re tucked away on The Green, a quiet square just below Union Street (the main shopping street). Their lunch menu looks impressive but they were kind enough to make me a bacon and egg roll with plenty of tomato sauce for breakfast – despite not being a breakfast kind of place. I arrived just as they opened their doors for the day and when they turned on their music the first track that played was Katchafire. Between that and the plentiful tomato sauce this kiwi was pretty happy. Faithful FR129 (which is a real boat because I checked). 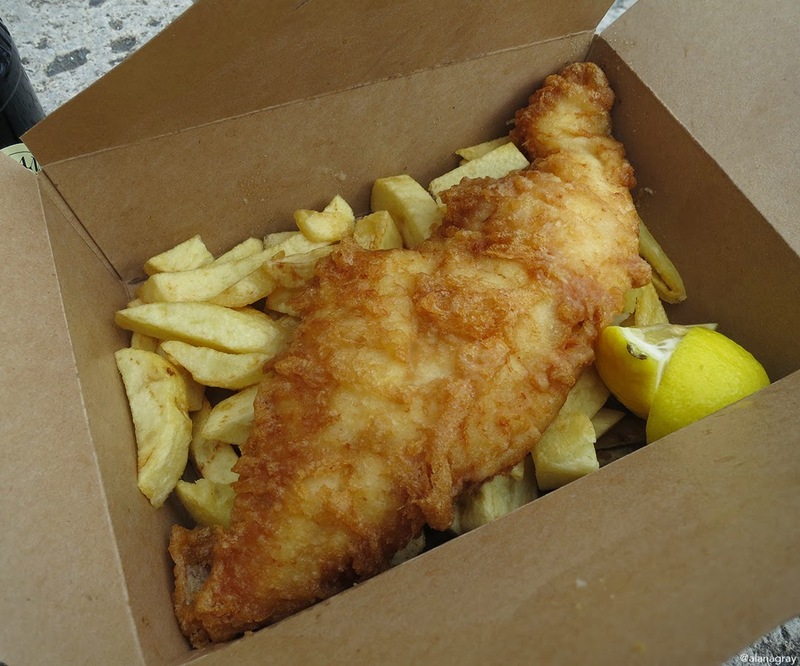 But forget about the pedigree of my food – the most important thing is that it was delicious. Utterly scrumptious. Have you been inspired yet? 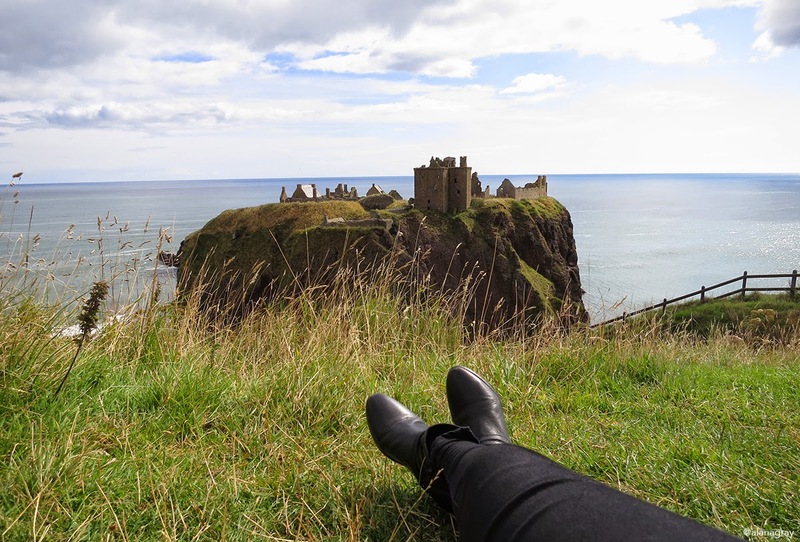 Scottish Sea shanty singing aside (rounds are usually best I’ve found) my lovely guest poster Alana (she of the SantaCon legend and Guildford walking track) has kindly offered to pop back in with a round of adventures and recommendations in Aberdeen. I adore that Alana likes to travel the way I do, explore and get under the skin of a city off the beaten track, really taking the time to wander and taste the beer. I mean, the culture of a new place. Aberdeen is Scotland’s third largest city, the ‘gateway to the North Sea’ and not a city you’d find yourself visiting unless you have another reason to be there. I date a sailor who works in the offshore industry and he’d been away forever doing boat things so I decided to pay him (and Aberdeen) a visit. 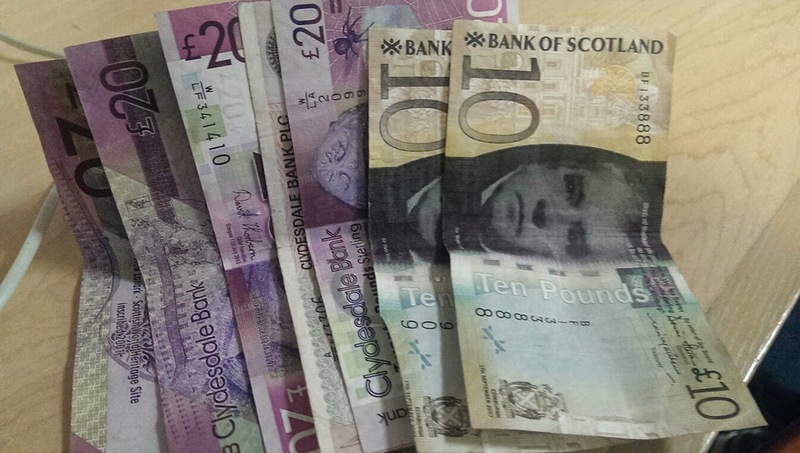 If you’re used to spending English pounds the Scottish equivalent are a colourful change. Plus it’s fun to use them back in England. They’re legal tender anywhere in the UK but they can confuse people – so if you’re the mischievous sort this one is for you. I LOVED this museum. The rooms were small enough that I didn’t feel overwhelmed and a lot of the paintings and sculpture were in my art sweet spot of somewhere between 1800 and 1940. 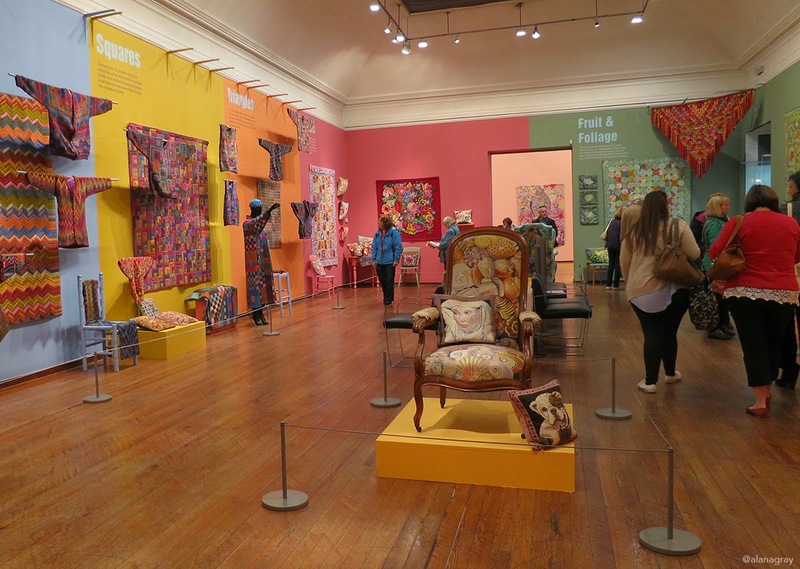 Following a colourful trail of flowers up the stairs took me to the current exhibition which was 50 years of work by textile designer Kaffe Fassett. 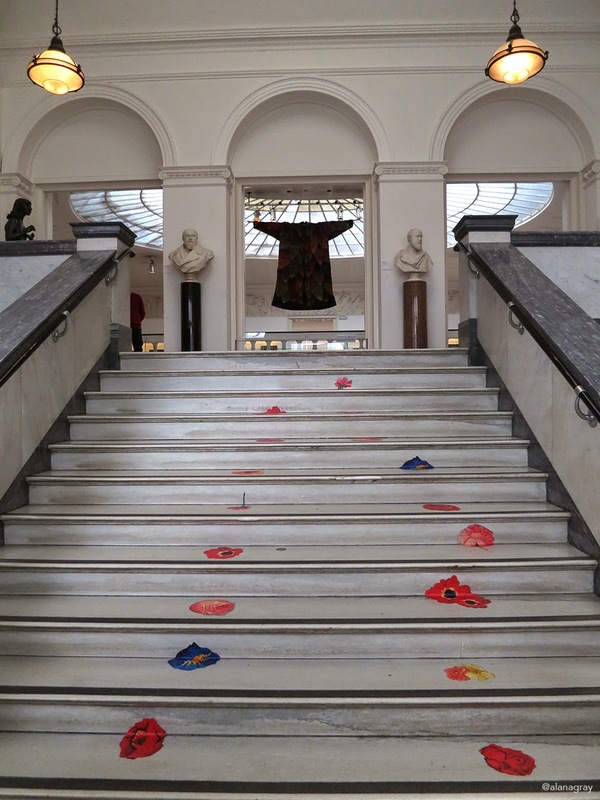 Compared with the white walls in the rest of the gallery the exhibition was a riot of colour, pattern and texture. I absolutely loved it and couldn’t rate it high enough. The only people that seemed to like it more than me were the couple wearing matching Fassett inspired knitted jerseys. The staff are also lovely. When I asked reception if anyone would know if works from an ancestor of mine were in the collection another staff member tracked me down, catalogue in hand to look it up for me before I had a chance to find him first. It’s not something that most visitors to Aberdeen get to do but The Boy organised for me to have a quick tour of the boat he works on. 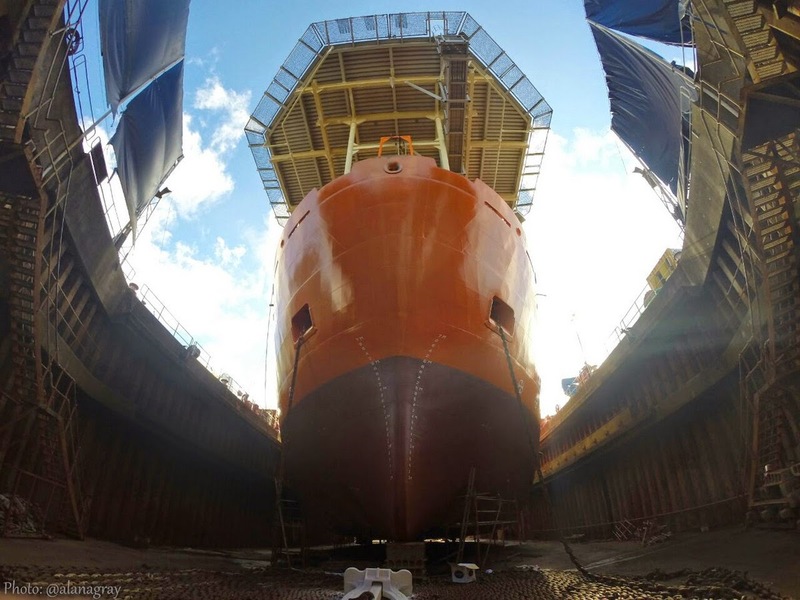 Technically it’s 81 metres of multi purpose offshore vessel but calling it a boat simplifies things. There was some pretty serious maintenance underway – in fact the boat wasn’t even floating as it was getting a new paint job and an overhaul of its mechanical bits. It was fascinating, oily, manly (seriously there were no women anywhere) and a totally different working environment from my job in a pristine central London office. 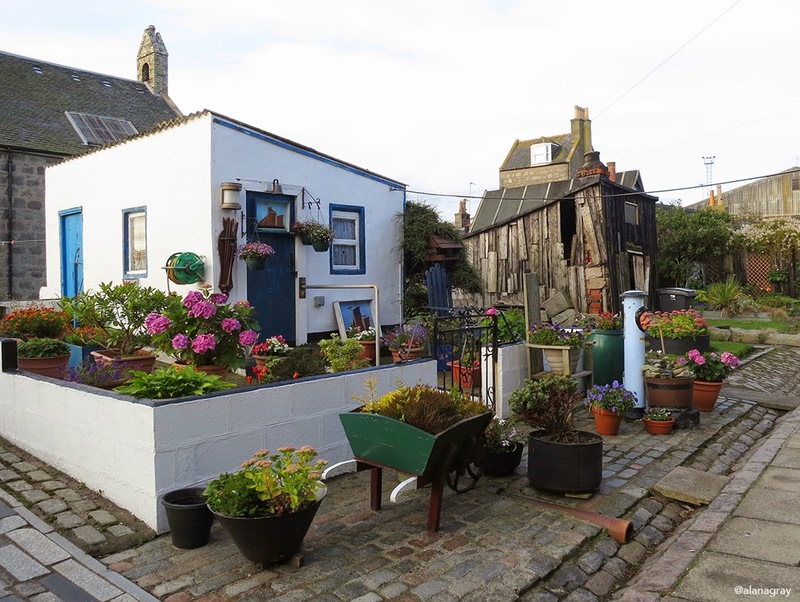 Footdee (called Fittee by the locals) is an old fishing village on the east side of the Aberdeen harbour. It’s incredibly photogenic with cute little wooden shacks and slate roof cottages. I had a lot of fun judging peoples taste in garden ornaments and trying to figure out if a garden gnome can ever be ironic. The weather was good so I also took a walk along the beach near Footdee. You can see out across the North Sea and watch the boats coming in to Aberdeen harbour. I was there at 7.30am but I think it would be spectacular if you arrived a bit earlier for the sunrise. 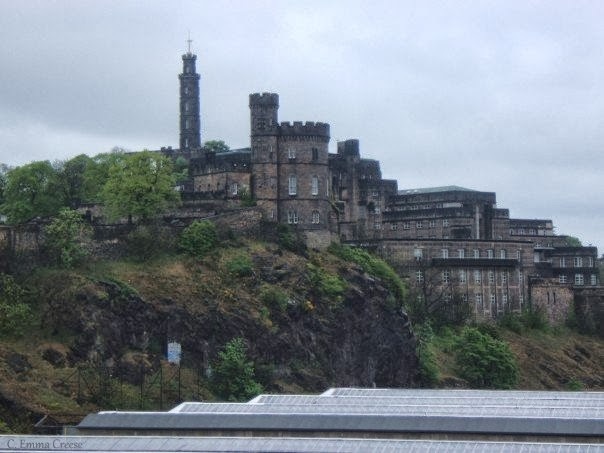 Aberdeen is known as the grey or granite city as a lot of the buildings are build of the local granite. 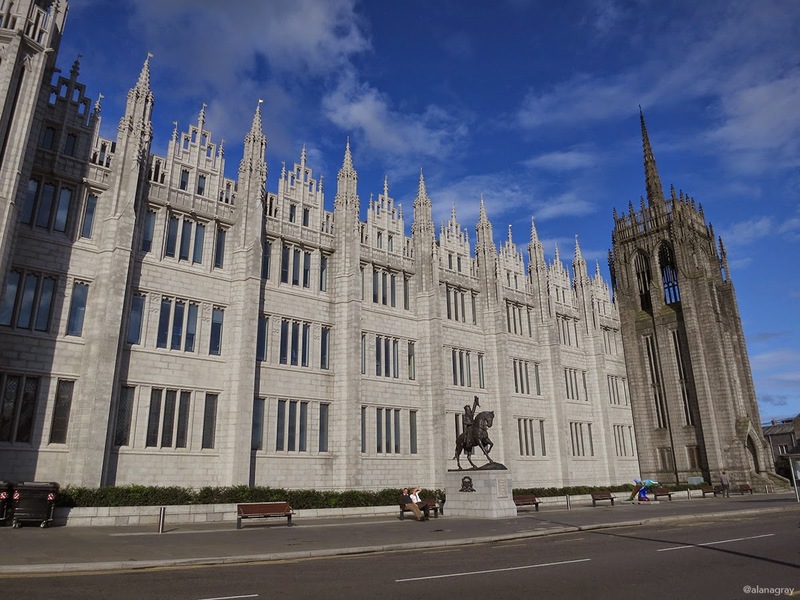 The Marischal College building is pretty spectacular as it’s recently renovation has restored the granite from charcoal to the original silver grey. Aberdeen isn’t a big city and I got a good feel for it by walking around. 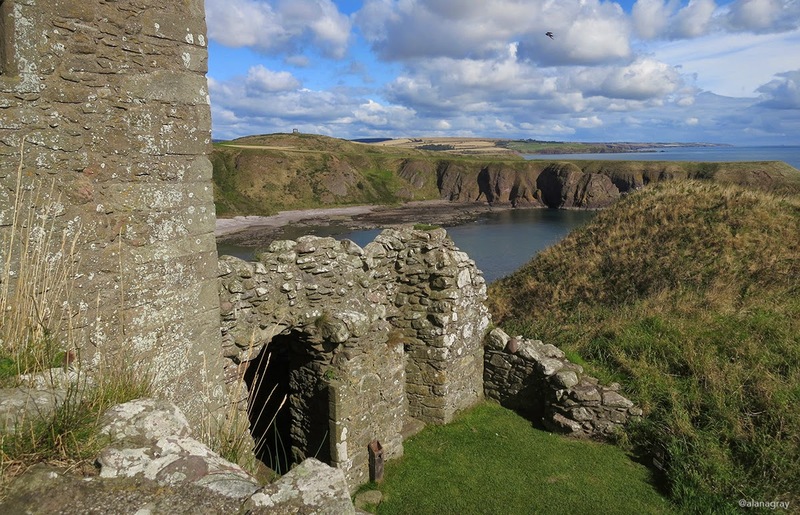 45 minutes south of Aberdeen by bus is the town of Stonehaven and nearby Dunnottar Castle. The castle is a ruined fortress famous as the hiding place of the Scottish crown jewels from the army of Oliver Cromwell. It’s also perched on a headland facing the North Sea and is pretty awesome to explore. 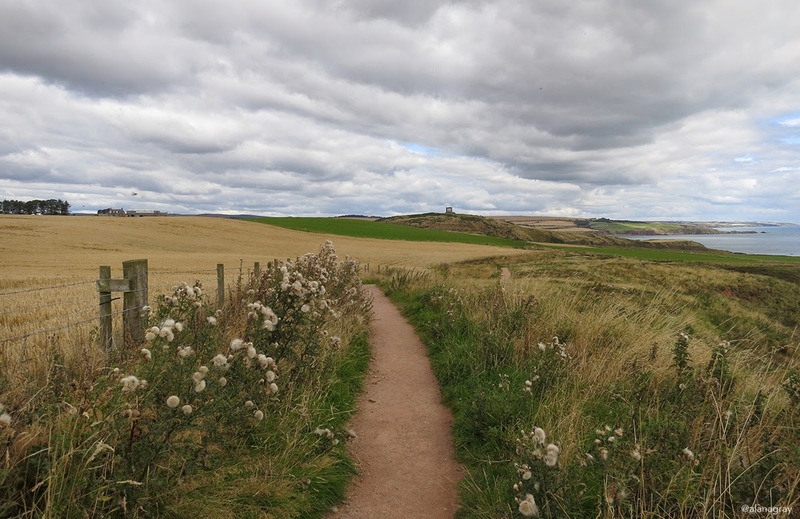 There is a path that heads from Dunnottar Castle in the direction of Stonehaven. Hoping it would eventually get me to town I followed it along the edge of the cliffs getting stunning views over farmland, the sea and back towards the castle. The walk goes past the Stonehaven War Memorial which is designed to look unfinished to symbolise the lives of the local men that were cut short. When I reached Stonehaven there was all sorts of noise (I believe it was a rather enthusiastic jazz band) and activity down by the harbour. 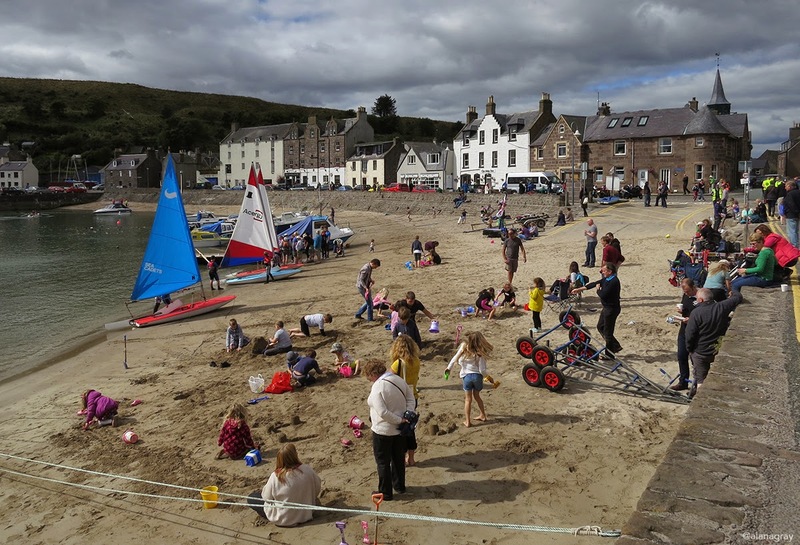 The town was in the middle of a harbour festival and there were children and boats everywhere as well as people trying to convince you to vote Yes or No to Scottish independence, donate to the RNLI or even just buy a kipper in a roll. 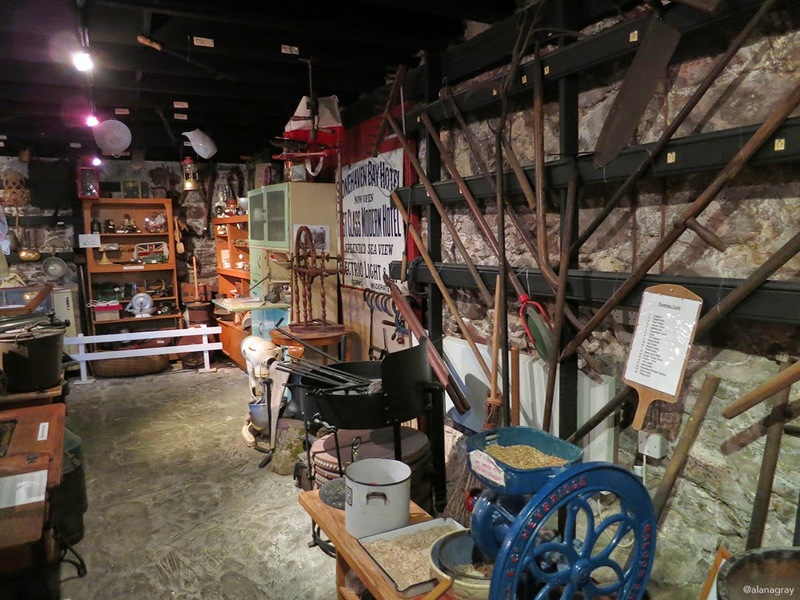 I also ducked into the Tollbooth Museum which is tiny but worth a look. It’s like being in a really quirky and cluttered antique shop. Except nothing is for sale. 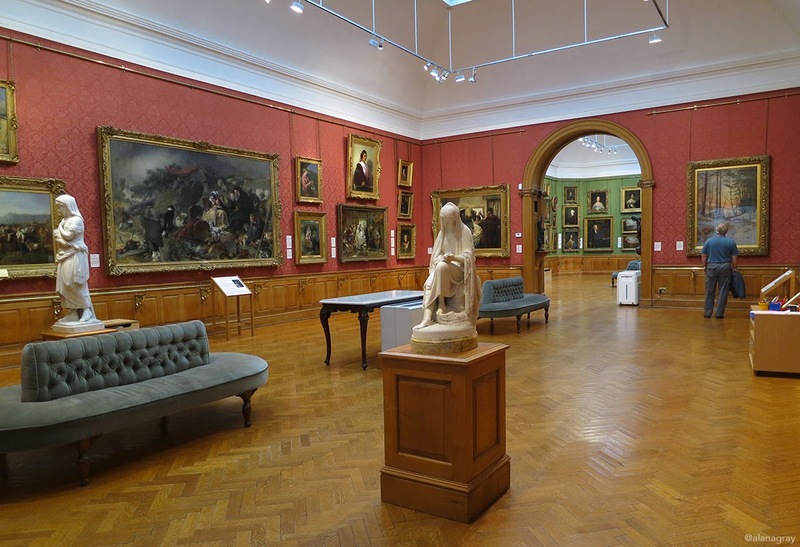 I prioritised the Aberdeen Art Gallery ahead of this museum however it’s meant to be pretty cool and would’ve made the list if I’d had another day. Held on the last Saturday of the month (and the Saturdays before Christmas) this market has everything from local produce to crafts and jewellery. Edinburgh holds a special place in my heart. It’s funky, uncompromising, unexpected and friendly. It’s also the place that hubby and I first travelled together. Not the world’s most challenging trip – straight up on the train from London – but in some ways it was. It’s perfect for a long weekend/city break. We hired somewhere central and cheerful to stay and basically wandered the city, going wherever the fancy took us. Warning: these photos are a little old, and a bit grim, but hold a special if freezing cold place in my travel book. We live, we learn! 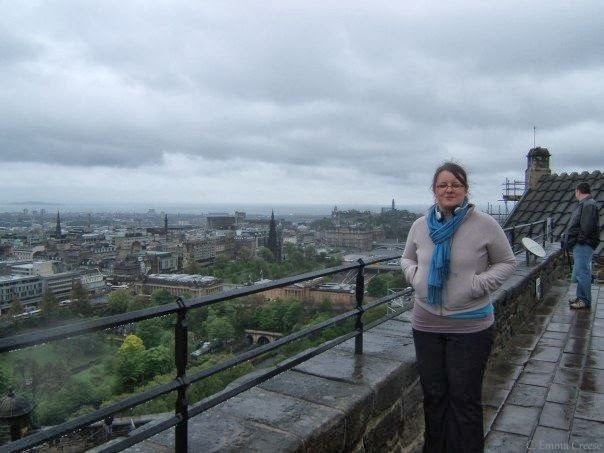 We couldn’t miss the hair-raising, and beautiful views from the top of Edinburgh Castle. We went in October/November, and unluckily the weekend that we went it was freezing. Fah-reezing. It also meant that we didn’t get to enjoy the full view expanse of the view, but it’s still a beautiful city. 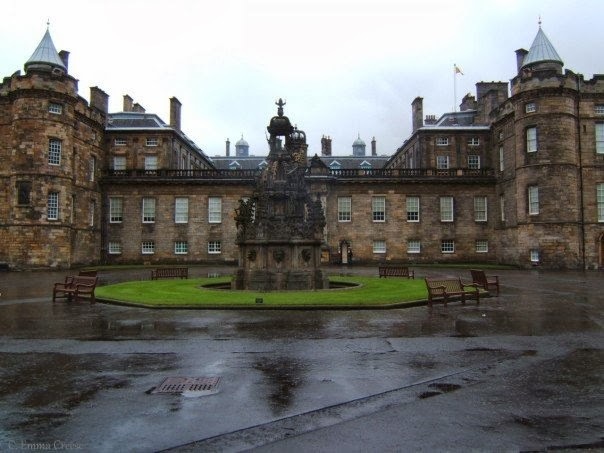 We took a good long wander around Holyrood Palace, and it was the first place (in my limited travelling) where you really felt a part of the history. Wandering through Mary, Queen of Scots bedroom (and over her ‘blood’ which I still think is the result of an over-enthusiastic guide but it’s never been proven) it really gives you a sense of this woman who has such an impact on history. The exceedingly modernist Scottish Parliament is directly across from Holyrood Palace, a dichotomous statement. It’s a really beautiful building & well worth a wander around. Our favourite thing to visit? The Forth Rail bridge, mostly because we’re nerds, additionally because it’s internationally famous. Cool fact; the bridge was known as ‘the bridge with neverending painting’ because as soon as they finished, they’d have to start again. In 2011 a paint was developed that would last 25 years much to our disappointment. 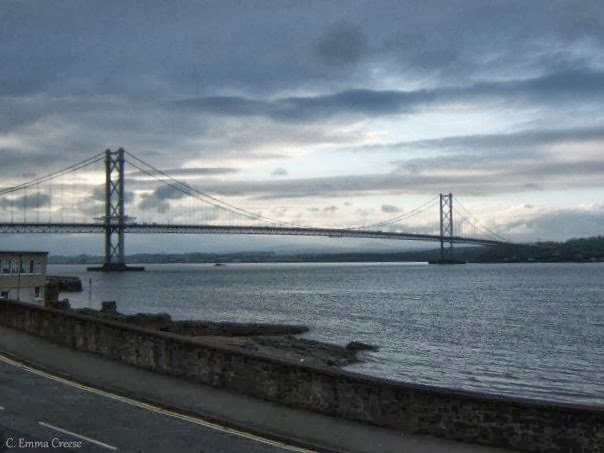 … and the graceful Forth Rail Bridge. We enjoyed all of the local delicacies; neeps and tatties, black pudding for breakfast and tried Irn-bru (not for me I’m afraid) but chickened out on the heart attack on a serviette that is a deep-fried Mars Bar. 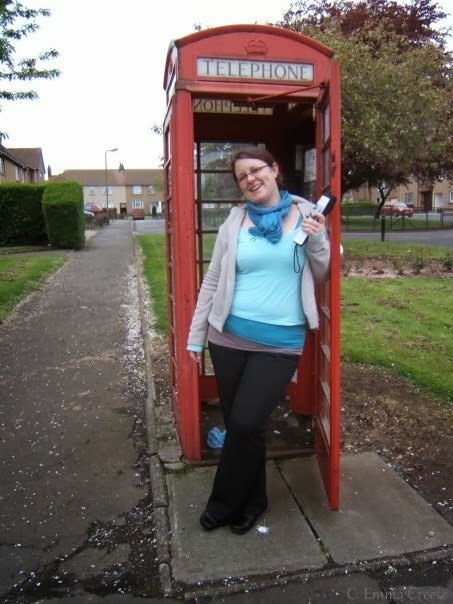 Too ashamed to do this in public in London, I Ninja’d in this country phone box. 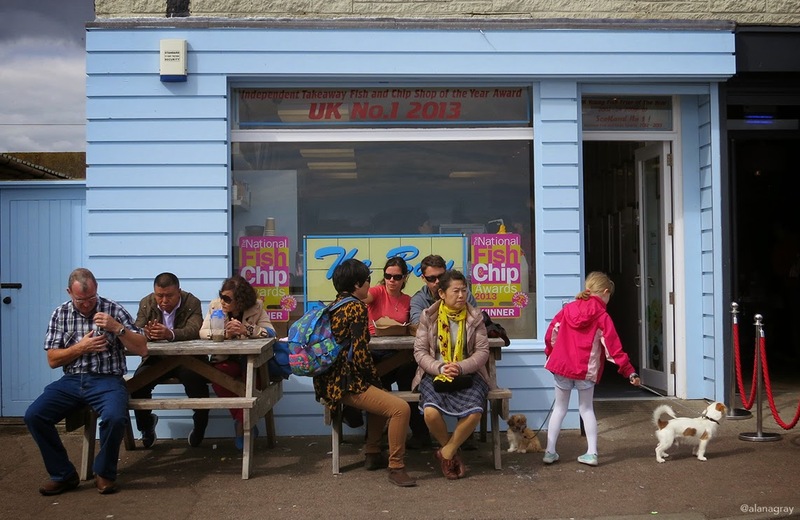 On the flipside though, if you do try the deep fried Mars Bar, you can slough off the calories walking up the crazily steep street inclines. We did one uber-touristy thing (preferring just to laugh at the drunken idiots wearing tam o’shanters and kilts lurching with their drunken Aussie accents antics) which was visit Mary Kings Close, a set of rooms and streets preserved in their 17th Century condition. We didn’t see any ghosts, but it was pretty darn interesting. We’ve been back to Edinburgh several times and keep discovering more; sunshine, rain, hail and snow and I don’t mind telling you that we missed out on Hogmanay one year because I was too chicken (after recently breaking my wrist) to slip-slide on the busy snowy streets. We love it. 15th Century Rosslyn Chapel is breath taking, and worth at least half a day’s visit, in my humble opinion. If you like churches/the da vinci code/craftsmanship/conspiracy theories and has quite a good pub nearby. Ps. the photos is borrowed from Visit Scotland as my camera was rubbish. My top tips for Edinburgh? 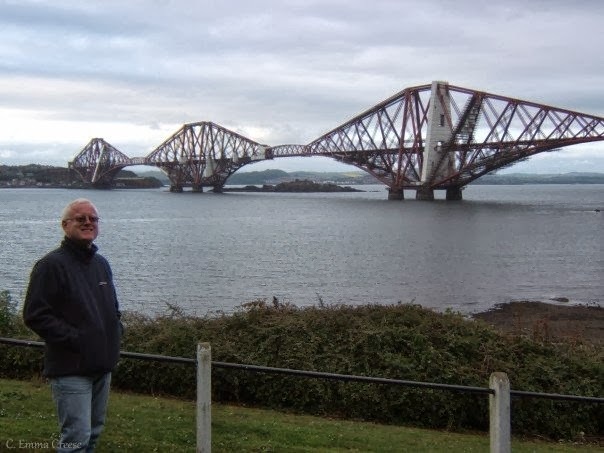 If you want to see the Forth Bridge and don’t have a car, you don’t have to go on a guided tour, just jump on the bus & ask the bus driver where to walk. You walk down a hillside, begin to wonder what the heck you’ve got yourself into, and then boom, there it is. There (at our time of visiting) is also a cute little pub nearby. There are great free museums. Try a deep fried Mars Bar, and let me know what you think of it. 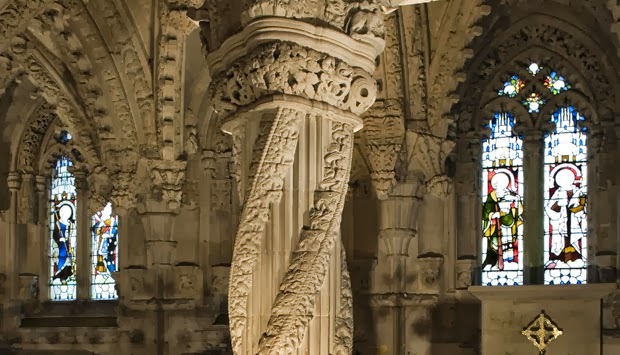 Rosslyn Chapel is a must, again if you don’t have a car there is a bus from the city centre, and it doesn’t take too long. Haymarket Station is about a 15 minutes wait and 5 minutes journey from Waverly Station on the train. Take layers & a jacket for warmth. If you’re sick because you caught a cold as you didn’t take enough layers, it’s ok to eat Dominos in your hotel room. Would you try a Deep-Fried Mars Bar?